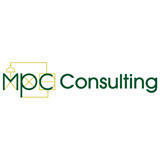 Located in Niagara-on-the-Lake, MPC Consulting Engineering is an electrical consulting engineering firm. Our team is comprised of AutoCAD operators, designers and engineers. We network with architects, civil, structural, mechanical and municipal engineers to offer you "one-stop" engineering solutions. Contact us for more information.